The other night I had a couple of friends over for a movie night. At the last minute I realized I had not thought of a savory snack (and wanted one) so I rummaged through my fridge for a ball of mozzarella I knew I had purchased, diced up half a nectarine that was leftover from dinner and then (the best part) went out to my garden to get a couple sprigs of purple and green basil. 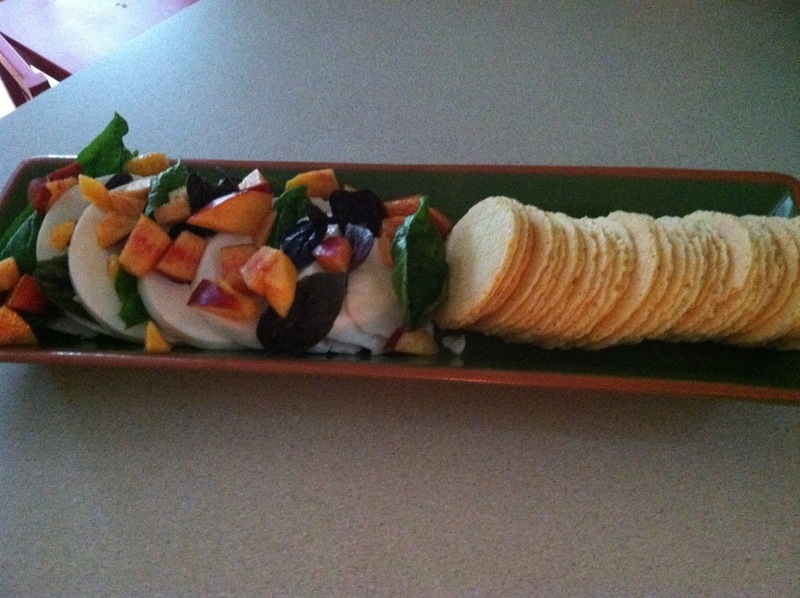 I layered this salad similar to a caprese salad, mozzarella, basil then sprinkled the diced nectarines over top. I served with gluten free corn crisps and voila! A super easy, fantastic appetizer that was made in less than 5 minutes (including the garden visit)! Previous Previous post: Happy Sandwich Month!